I meant the photo and my post as a tribute to my Grandma Madsen, and as leavened proof that free will is a demonstrably total illusion when a person (*cough* me *cough*) is left home alone with homemade sticky buns from my Grandma’s 100+ year old recipe from Denmark, and (in related news) as a confession that given a decent carb, I’m helpless. Let’s be clear: I am fit. I am a very healthy weight, and eat a healthy diet of mostly organic foods, and I drink lots of water and green tea and a glass of red wine per day and go on regular walks (though admittedly it’s a bit harder around here in the winter). Let’s also be clear that all of that is a bit so that I can live a longer healthier life….but mooooooostly so that I can eat more carbs. 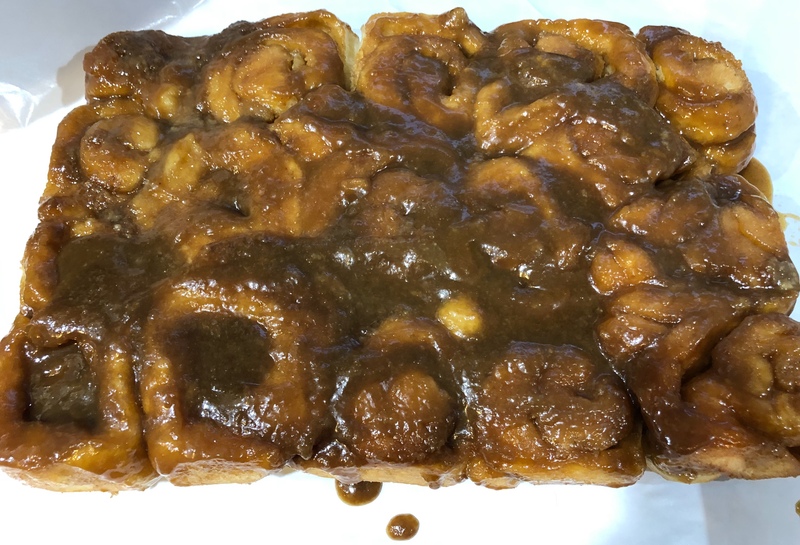 Like these sticky buns (in fact, in very much related news, as I was writing this blog, I rediscovered another blog I wrote for Thanksgiving about my grandmother, and my love of butter, and her love of butter and how it cost her a job). The trouble is that, after sharing this picture, people began to ask, then beg, then clamor for me to share the recipe. Both on the post’s thread, and then even in private messages, they wanted my Grandma’s recipe. Here’s the thing: it’s not my recipe. 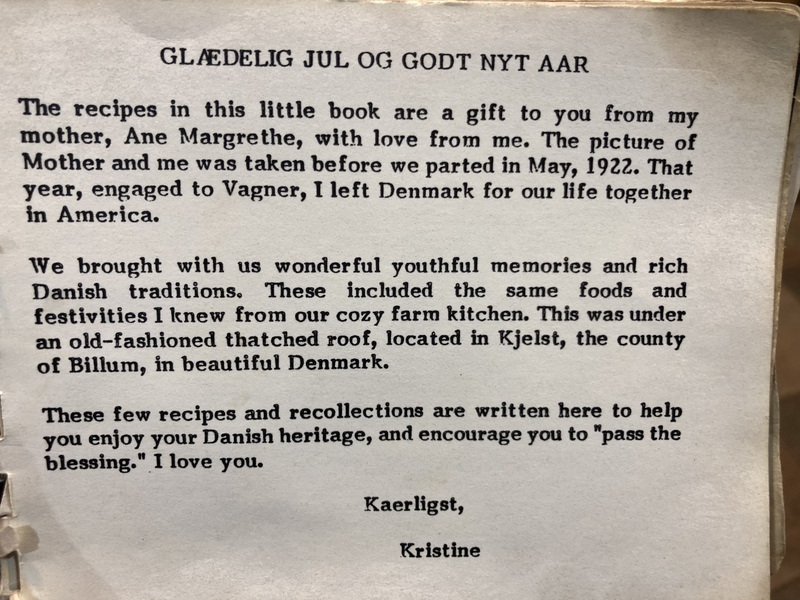 Technically, it’s my grandma’s recipe, but this amazing woman, this stunning person who emigrated from Denmark to the States at but 23 and then built a family and a life and a legacy, this breathtaking Kristine Olesen Madsen died on January 1, 1993. 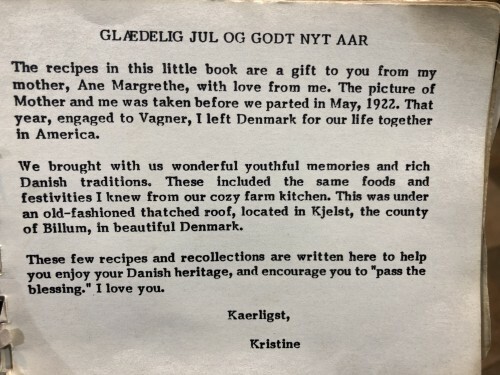 But before she died, she wrote two small books: one was a family history with pictures and tales of her days, and one was a small cookbook with not only recipes from her time as a Danish girl growing up on a small farm in Jutland, but also with stories that accompanied each dish. All of the children and grandchildren received a copy of each. 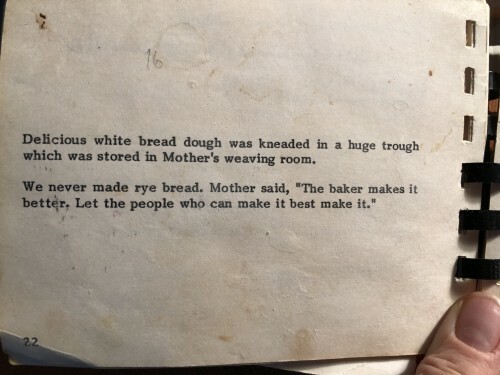 So, you see, the recipe for my grandma’s bread dough, which can become either a loaf or buns or sticky buns, isn’t really mine to give out. So that was my pickle, you see, which in the great scheme of things isn’t on par with other world crises, of course. But at least in my mind and heart, it was a Situation. 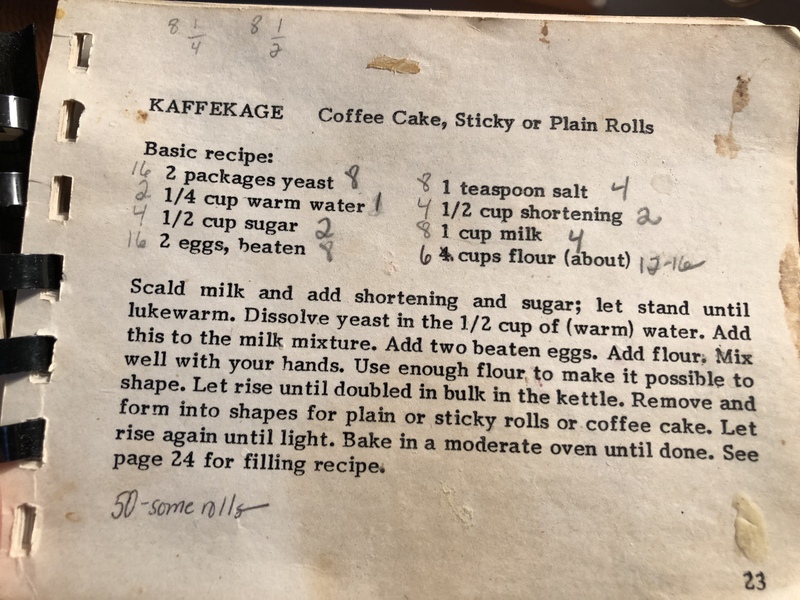 I’ve never been quite able to totally understand people’s recipe-sharing reticence, but a bit of me does appreciate the apprehension, because a recipe isn’t just a recipe: it’s a memory. 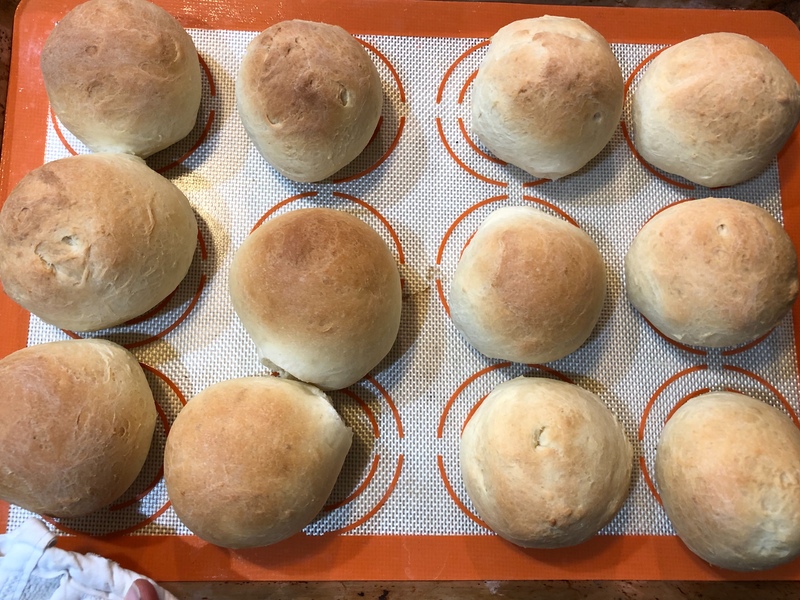 I have indescribable warm memories of my grandmother making her buns—the recipe calls for shortening, but what she meant was goose grease, so they are still called (even when we make them with the most obviously and righteous on-hand substitute, butter) Grandma’s Goose Grease Buns. 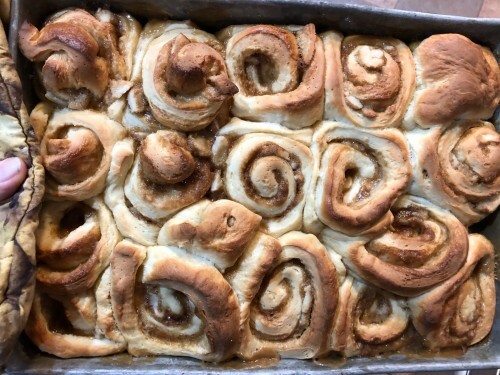 And then my mama (Grandma Madsen’s daughter-in-law) made them, with her own twist, and I can still see the sticky buns upturned on the cooling racks with a puddle of hot caramel under each pan with a pat of butter melting on each roll, and my mother grinning and nodding that yes, even though they were still hot (in fact, because they were still hot) we could break one off and pop the brown sugar ooze into our mouth. In college, I started to try my hand at them. 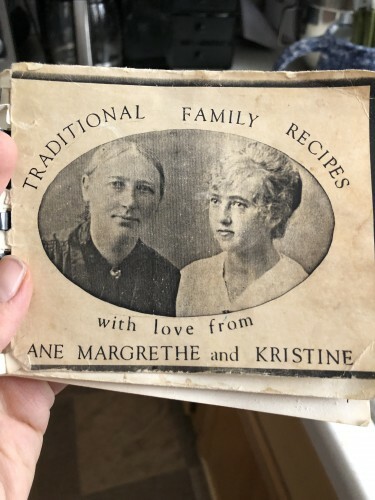 I distinctly remember staring at the small cookbook, in awe of the legacy of this particular recipe, deciding to give it a try anyway, and then noticing, horrified, that there was an inconsistency in the directions. The ingredients said that one needed ¼ of a cup of warm water in which to dissolve the yeast, but the recipe proper said that we were to mix the yeast in ½ cup warm water! That could make all the difference between Grandma’s goose grease buns and a wretched attempt at The Legacy, I was sure of it. And I heard it for what it was: both rebuke and blessing. Yeast dough is forgiving, within certain parameters. Between the basic non-negotiable of nothing hotter than lukewarm liquid to get the yeast doing its thing, and not forgetting to take your bread out of the oven, there’s a lot of grace. Sometimes the flour has more humidity, and therefore is bulkier in your measuring cup, so you need less than you did last time: no reason to fret. Sometimes you have a hankering for a handful of sesame seeds: go on, be bold, pitch them on in. 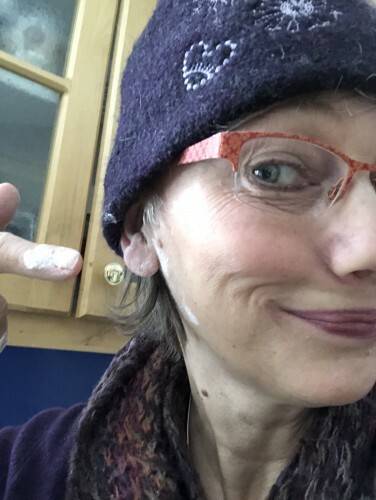 Sometimes you get a phone call mid-knead, and then your dryer buzzes, and then your kids come home from school, and like a boomerang thwapping you on the back of your head, you suddenly remember your dough, which has since taken on a life of its own and taken over your kitchen, but no worries: it is wrestled to your counter again in no time, and is quite playful about the whole thing. It’s really hard, that is, to bung up bread, which is perhaps why I like baking it so much. It’s knowledge and intuition and palpable grace. So, back to my pickle (which, by the way, I have never and would never stick in a loaf of bread, but if it’s your thing, give it a whirl). I decided the right thing to do was to connect with my cousins: many of them are on Facebook, and so it seemed like a good reason for a Facebook group message. What, I asked them, should I do? Share the recipe with wild abandon, or change the thread’s focus to, say, green jello? 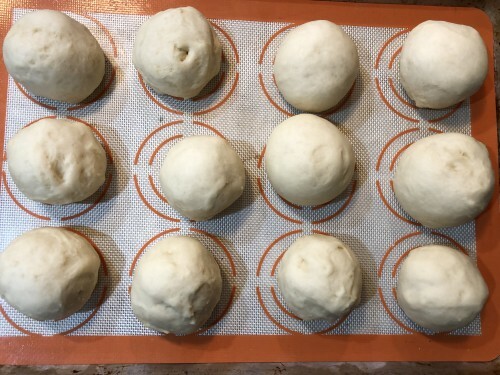 And before long, we got to talking about how this recipe is not just a bun recipe, but is a heritage. And then we reminisced about my Auntie Es’ gingerbread recipe (itself, along with a so-precious picture of her and her granddaughter Lis overlooking a spread of her frosted perfection, published in the Minneapolis Star and Tribune: one of their most requested recipes), and my Auntie Ann’s pork roast recipe, and how some in our family can make one or more of them to perfection, but few can do them all just as they should be done and we remember them being done. It’s not just following a recipe, that is: it’s a feel, an intuition, and maybe, in a weird way, a relationship with what you’re baking for loved ones now, just as it has been baked countless times by other beloved hands for other beloveds. 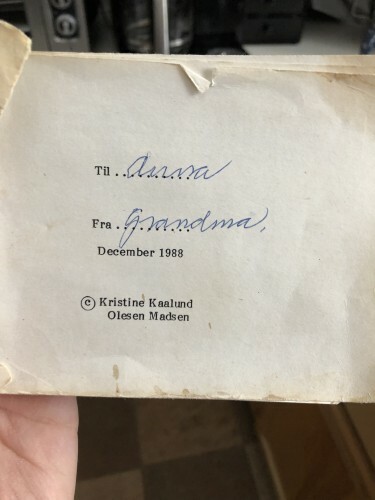 Although there was no official consensus, during the course of the thread, I felt a bit of a blessing to share the recipe, and all the more when I looked in my tattered copy of my Grandma’s cookbook. I am choosing to take it as a blessing from her to pass the blessing of her recipe on far and wide. I posted that picture of her gooey sticky buns in the first place because although I make the recipe often, every holiday I make it 8-fold (the scribbled math is more or less correct in the recipe photo below) to offer both the buns and the sticky buns to other tables: it’s a small way, I suppose, of passing the blessing. But…it seems only right and good to test them, though, before I dole them out to others…right? I am about to do the same with the batch I made today. A person needs strength for Thanksgiving preparation…right? The point is, in this season of giving Thanks, at tables where we pass the dishes, there is also a reminder that we are also passing on the blessings, and, in fact, are ourselves only passing blessings. 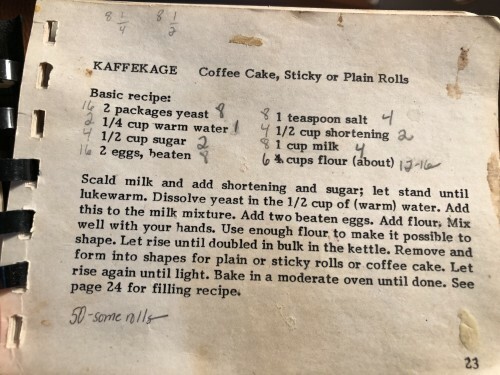 And so, from this blessing of a grandma who has passed, I pass on her blessing: her Kaffekage recipe. May this Thanksgiving be an opportunity for you and yours to be blessings and to pass the blessings (and the basket of buns while you’re at it) on not just to those at the table, but to all who have a no tables and hunger in their bellies or their hearts. And now, the recipe, with a few small adaptations. Scald milk and add shortening and sugar; let stand until lukewarm. Dissolve yeast in the ½ cup of warm water. Add to the cooled milk mixture. Add flour, mixing first, and then kneading until the dough is no longer sticky and (not making this up) feels like your earlobe. Let rise in a buttered bowl in a warm place until doubled or until you remember it. 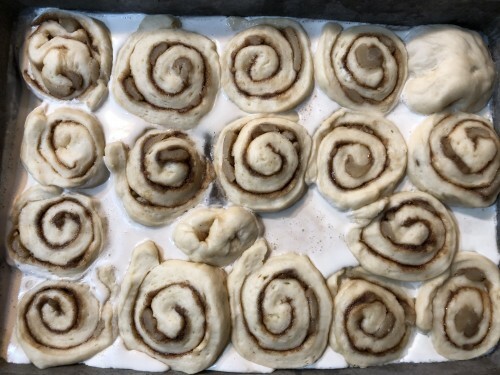 Make half into buns (which, to get a largish size, makes about a dozen), and the other half into sticky buns; or all buns; or all sticky buns. It is a hard call, for real. 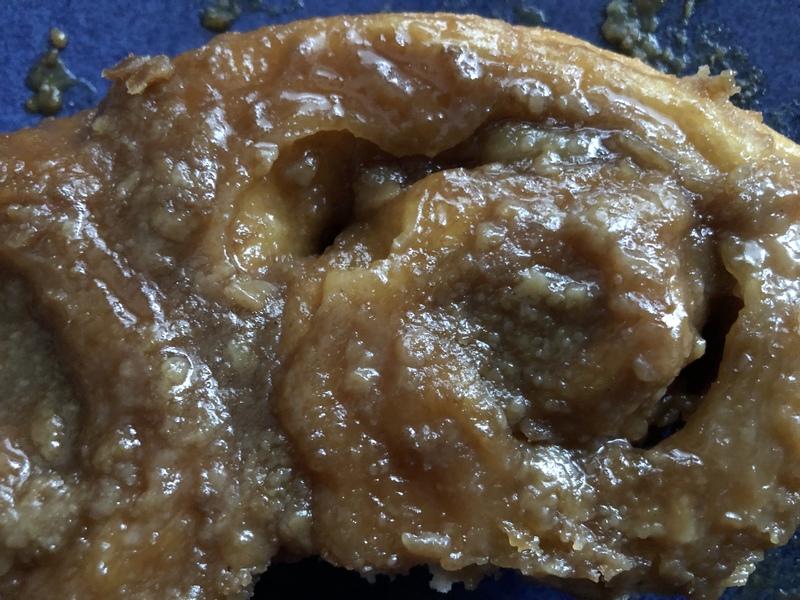 If you opt for sticky buns, pour about a ¼ inch of cream into the bottom of a pan, and pour, what, a ½ cup or more of brown sugar in, and mix it up (not going to judge if you swirl it with your finger and lick when no one is looking). 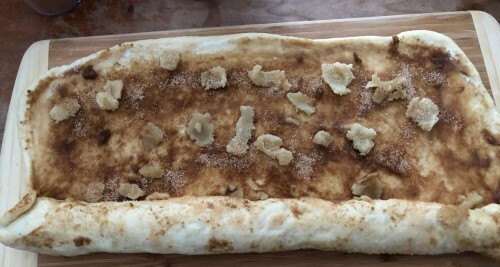 Roll the dough out until it is ⅛”-¼” thick, then slather with soft butter, pour some cream on for good measure, sprinkle cinnamon or cinnamon sugar, and ¼-½ cup brown sugar, and then a ½ cup or so of almond paste. Roll up, cut up, stick in pan. Let buns and rolls rise until double-ish. Bake at 350 degrees for 10-15 minutes for the rolls, and 15-20 minutes for the sticky buns. And now, finally: please pass the blessings! In case you missed it, the last three blogs!